Two individuals are facing felony drug charges after a traffic stop led to what law enforcement said was the discovery of meth. According to the Edmonson County Sheriff's Office, a deputy initiated a traffic stop around 9:30pm on Saturday night for crossing the center line several times as well as a lighting violation. Once contact was made with the driver, Randall Scott Decker (47) of Leitchfield, and passenger, Heather Bass (33) of Morgantown, the Deputy asked Decker for consent to search the vehicle after the deputy noticed "suspicious behavior from both occupants," and consent was given, according to a press release. While searching the truck, the deputy reported that he heard glass breaking and observed Decker and Bass leaning over, looking at the ground and "fidgeting." The sheriff's office said the deputy found a bag and sock-like item containing busted meth pipes. Inside of Bass’ purse, which was located inside the vehicle, were 9 different syringes, one loaded with clear liquid, suspected to be methamphetamine, along with torches, suspected marijuana, and other drug paraphernalia. according to the sheriff's office. Randall Scott Decker was arrested and charged with Possession of Controlled Substance, 1st degree, 2nd offense (methamphetamine), Tampering with Physical Evidence, Careless Driving, and Failure To or Improper Signal. Both Bass and Decker were transported to the Hart County Jail. The Kentucky State Police and the U.S. Drug Enforcement Agency (DEA) are partnering on April 27, 2019 to encourage citizens to remove potentially dangerous medicines from their homes and dispose of them safely. According to the 2017 National Survey on Drug Use and Health, 6 million Americans abused controlled prescription drugs. The study shows that a majority of abused prescription drugs were obtained from family and friends, often from the home medicine cabinet. “Cleaning out old prescription drugs from medicine cabinets, kitchen drawers and beside tables can help reduce the diversion, misuse and abuse of these substances, including opioid painkillers,” says Sanders. “When in doubt, throw it out”. In 2018, citizens across the U.S. safely disposed of nearly 930 tons of unneeded medications during National Prescription Drug Take Back Day. Since the inception of the program in 2003, Kentucky has collected 135,143 pounds of unwanted/unused prescription drugs. 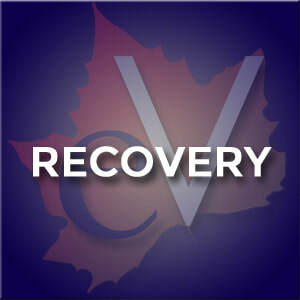 Participants may dispose of medication in its original container or by removing the medication from its container and disposing of it directly into the disposal box located at the drop off location. All solid dosage pharmaceutical products and liquids in consumer containers will be accepted. Liquid products, such as cough syrup, should remain sealed in original containers. The depositor should ensure that the cap is tightly sealed to prevent leakage. Intravenous solutions, injectables and syringes will not be accepted due to potential hazard posed by blood-borne pathogens. 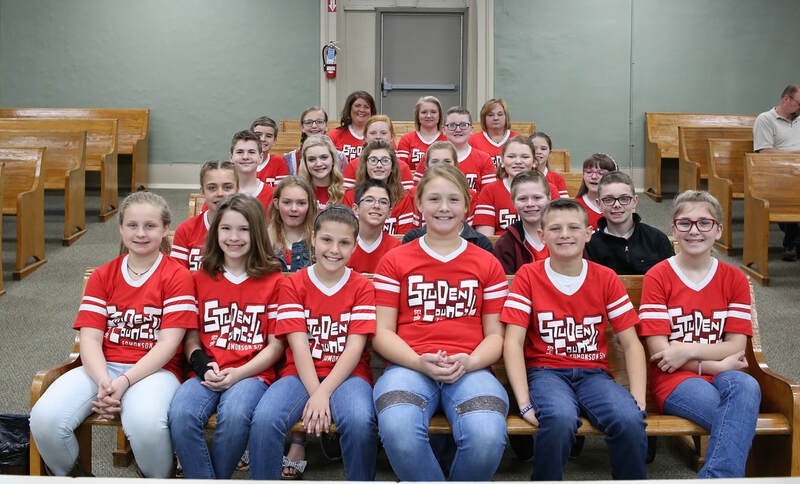 The 5/6 Center student body government attended Fiscal Court on Monday April 22, 2019. The Court Acknowledged the student government at the beginning of the session. According to coordinator Jami Booker, the students attended fiscal court to learn about how county government works. At the end of his regular report, Sheriff Shane Doyle spoke to the students. "This is the first step. Some of you may become elected officials at the local, state, or even national level," said Doyle. "I am very proud of all of you." Doyle's son is a member of the student government. County Clerk Kevin Alexander, who also has a son in the student government, talked to the students. "You are all building leadership skills right now to be our next leaders," he said. "I'm also very proud of each of you." Coordinator Jami Booker thanked the court for allowing the students to attend the meeting. Judge Executive Wil Cannon addressing the court during the Monday April 22nd meeting. 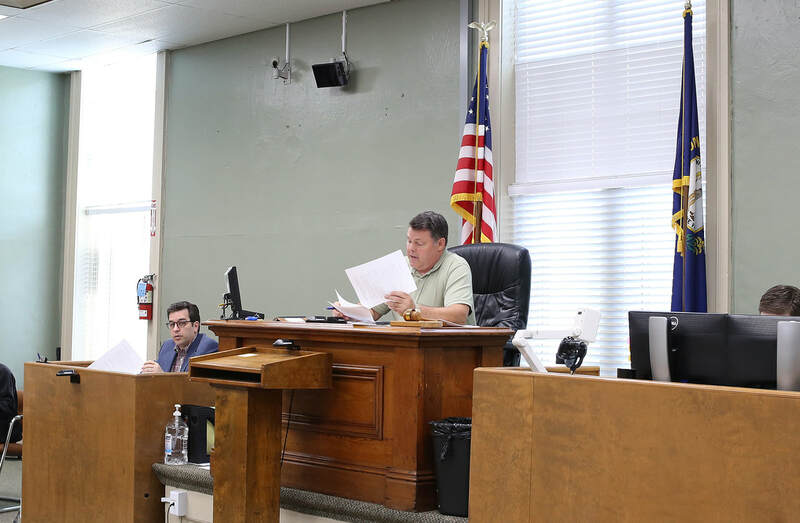 Edmonson County fiscal court was held on Monday, April 22, 2019 at the Edmonson County Courthouse. 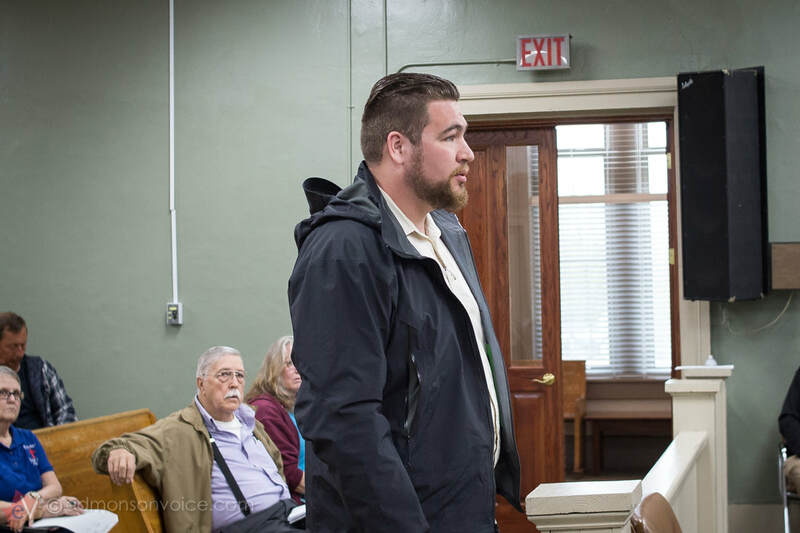 In addition to the regular county office reports that were given, new ordinances were presented to the court and a new county road foreman was officially hired. Road Report- Greg Carroll reported that Cedar Grove and Black Gold Bridges on went under water on Saturday. The road crew finished working on Mt. Zion Rd. in District 6 that was part of the flex money from last year. The crew also finished working on Beaver Dam Church Rd with the flex money set aside for it. According to Carroll, Magistrate Corey VanMeter decided to have the crew work on the rest of his district’s part of the road. The new signs for expecting delays came in and paving will begin next week. Greg reported maintenance on equipment. The mowers started mowing today and they are on the south side. The court also approved to appoint Greg Carroll as Road Supervisor. He has completed and passed all the required state testing. The position is effective as of April 15th with a $40,000 per year salary. Carroll is fulfilling former foreman Ray Page's term which is set to end on December 31, 2022. The court also approved the hiring of David Minor as a full time road employee at $11.50 per hour, contingent on a search of his driving history report, which is scheduled to be conducted this week. EM Director Report- EM Director Terry "Moose" Massey reported a total of 3 emergency runs. Sheriff Report- Sheriff Shane Doyle reported an insurance claim that was filed by Deputy Wally Ritter. He said that Deputy Ritter encountered an unruly person during an arrest and received multiple kicks to his hips and stomach area. Ritter was put on light duty for one week per a doctor recommendation. Ritter has made a full recovery and is back to regular duty. Sheriff Doyle also reported a meth arrest that happened over the weekend. 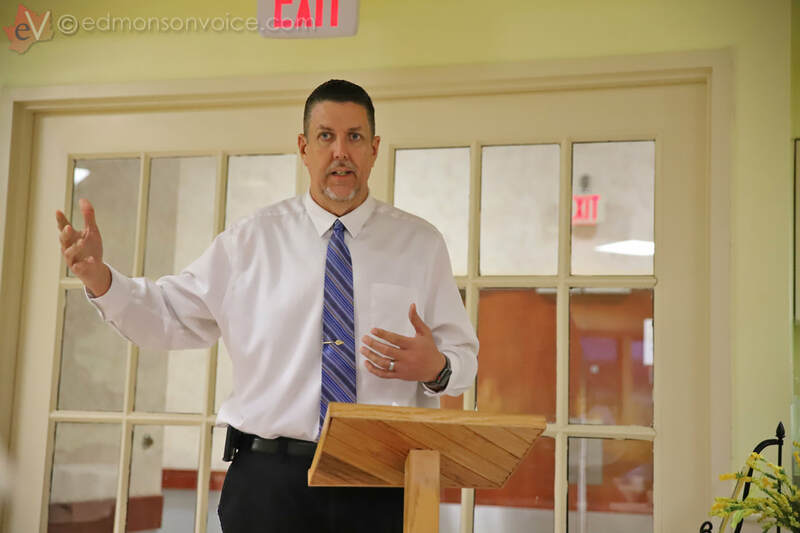 Doyle also spoke about the annual mock crash that is put on by local emergency personnel for high school students and stated that he believes students were greatly impacted. Jailer Report- Jailer Hank Vincent reported a total 19 county inmates housed at the Hart County Jail. Vincent stated a vehicle had a broken shift cable and had to be towed to Hilltop repair shop. The vehicle has been repaired and is now in working order. County Attorney Report- Greg Vincent spoke about the Rock Castle Shooting range case and said that the county has won the case for the owed back taxes and are currently working on securing that payment. More information will be released as it becomes available. Vincent also reported he has written several new ordinances and resolutions which were later discussed. The court approved the first reading of the Conservation District Ordinance EC19-11 regarding the millage tax for funding. 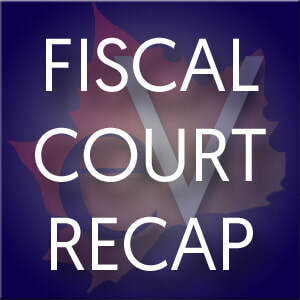 The court also approved of first reading of the Transient Room Tax Ordinance EC19-08 for the levying of a lien upon real estate owned by delinquent taxpayers and modifying the interest rate for unpaid transient room tax. The first reading of the Recreational Tax Ordinance EC19-09 for the levying of a lien upon real estate owned by delinquent recreational license taxpayers was also approved. The court also approved Resolution EC19-10, a Memorandum of Agreement between the Edmonson County Fiscal Court and the Commonwealth of Kentucky, Transportation Cabinet, Department of Highways for the amount of $181,565 for the North Main Street Bridge project. County Clerk Report- County Clerk Kevin Alexander reported his attendance at a conference last week and that election training for poll workers begins tomorrow. A new state mandated computer system was installed last week and Alexander said delays due to the new system are probable. Tourism Report- Rhonda Clemmons shared the success of the Cave Area Celebration that took place last week. She stated that over 300 people attended the event. Rhonda also reported that Rochelle Wright is the new director of Cave Country Trails and that the Chamber luncheon sponsored by Alford’s Pharmacy and A+ Family Healthcare is on May 10th at the library at 11am. 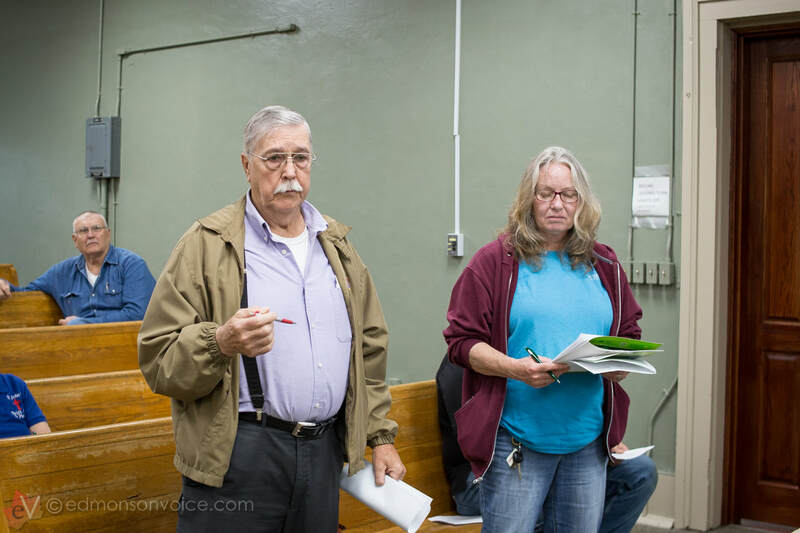 Cindy Rich and John Whittle of Preserving Edmonson County INC spoke with the court during the April 22nd meeting. 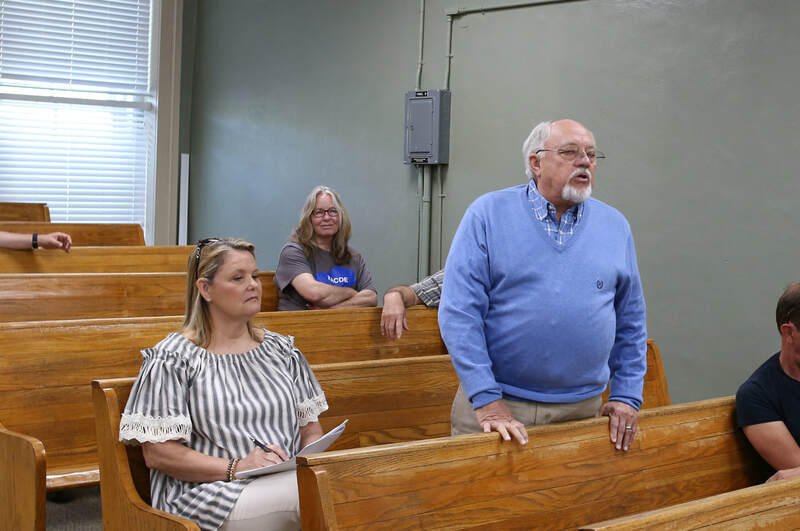 Representatives of Preserving Edmonson County INC, a non-profit group dedicated to the beautification of Edmonson County came to Fiscal Court to seek approval of a resolution needed to obtain certain grants. After reviewing the resolution, County Attorney Greg Vincent advised the court that many aspects of the resolution should be rewritten to protect the county, due to the fact that the current resolution didn’t specify approval for grants or projects that would be associated to the Edmonson County’s name, along with other needed information about the non-profit. 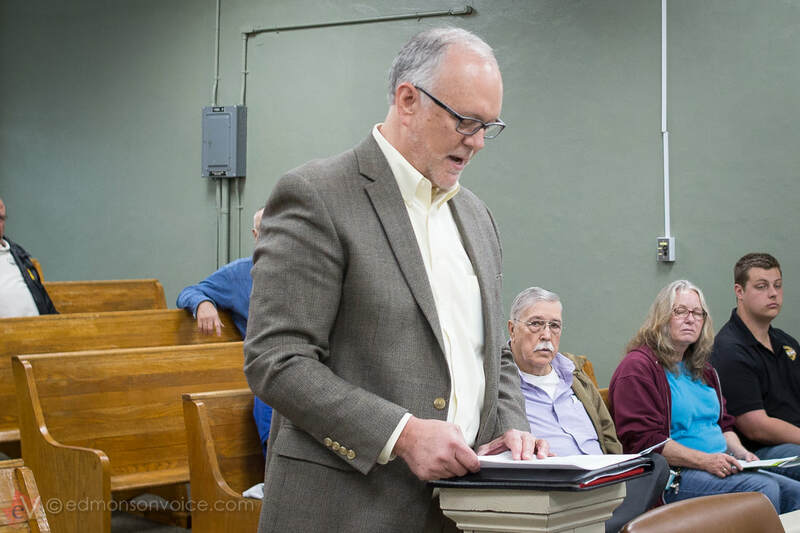 ​The Representatives of Edmonson County Pride thanked Vincent for his expertise and ensured the court that they want the resolution to be right. The non-profit will work with the County Attorney to create a resolution that protects the County while ensuring they have what they need in order to receive grants for their projects. -Approve to hire part time dog control employee Sunshine Brewer at $9.00 per hour. -Approved to appoint Chris Stewart to Planning Commission, effective May 14, 2019 with term ending September 30, 2019. 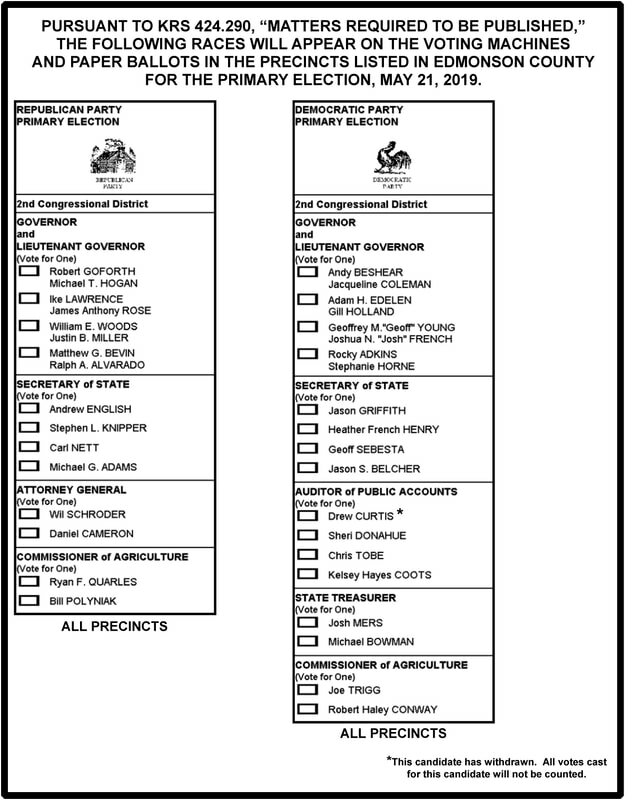 The office of Edmonson County Clerk Kevin Alexander has released the ballot for the May 21, 2019 Primary Election. While there are no localized elections, Edmonson County voters will choose their candidates for KY governor, among other state offices. The clerk's office will open the polls Tuesday, April 23rd at 8am. 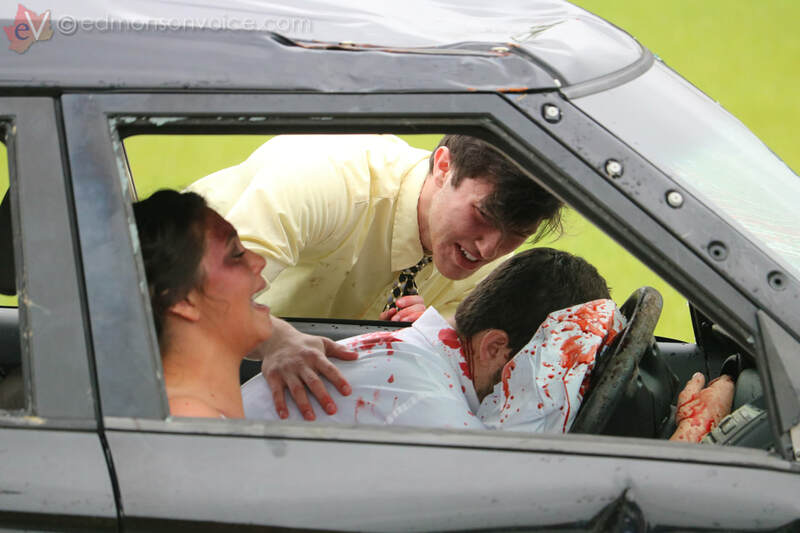 Spencer Bass reacts as he realizes his friend, Grayson Purdue has been "killed" in today's mock crash. Keely Doyle is at left. 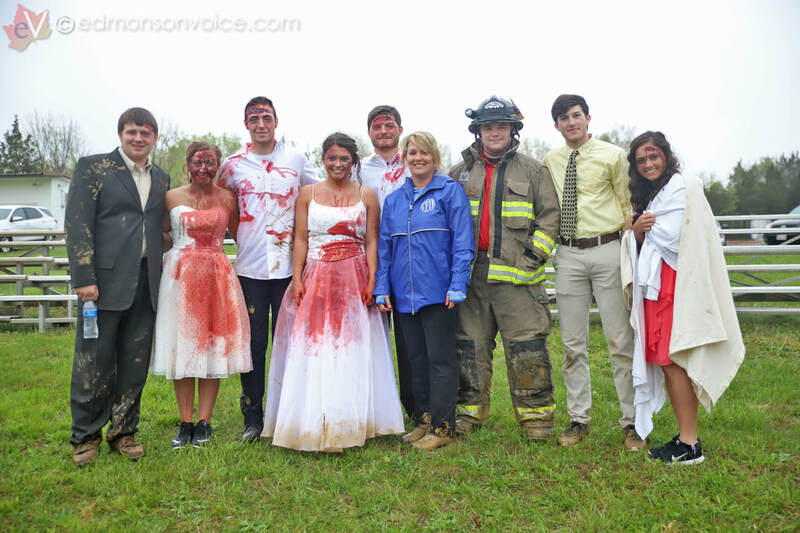 ECHS hosted it's regular mock crash today at the Edmonson County Fairgrounds, in conjunction with Edmonson EMS and other local emergency personnel. The event is a staged car crash that involves ECHS students where at least one or more students is critically injured or killed. In today's staged event, three ECHS students died while one was severely injured. "The benefits of working in Edmonson County, you know everybody, but you know the disadvantages to working in Edmonson County? 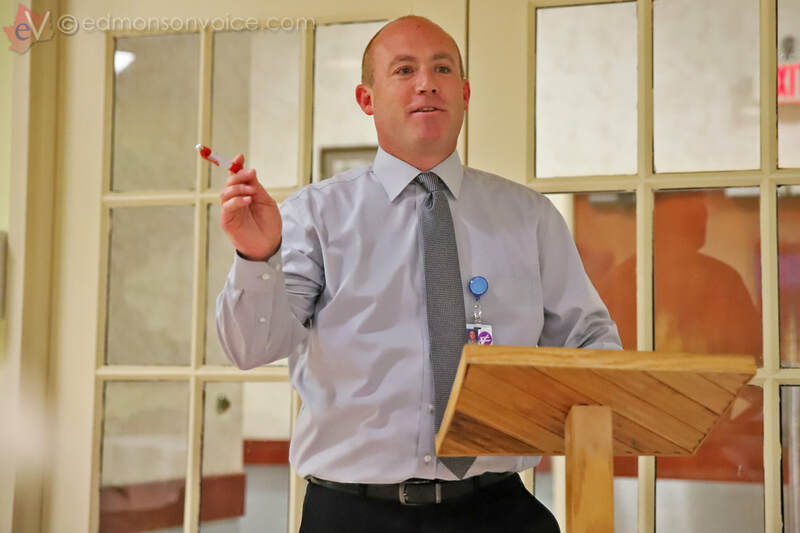 You know everybody," said EMS Director Keith Sanders as he addressed the student body. "When you work something like this, it hits home because chances are, you're going to know who it is. We want to emphasize that we want you to make good decisions because we do not ever want to have to do this in real life with you all." L-R: actors Hunter Ashley, Morgan Graham, Jarrod Sanders, Keely Doyle, Grayson Purdue, Holli Doyle, Petie Tarrantino, Spencer Bass, Hannah Meredith. Sanders own son, Jarrod, an ECHS senior, was an actor in the scenario and was "critically injured." Usually focused on drinking and driving, today's scene was instead aimed toward using social media while driving. The driver of one car, senior Hunter Ashley, acted as though he was using Snapchat while driving, which caused the wreck that "killed" junior Morgan Graham, and seniors Hannah Meredith and Keely Doyle. Keely's mother, Holli Doyle, was also an actor today as she portrayed the distraught mother seeing the horrors unfold. "It seemed so real, that it was like I was really in the part, not just acting the part," said Keely. "It was really scary, honestly." "It felt really real, especially after all the paramedics, sheriff's office, city police, got there. I got a little tore up there. It was really eye-opening experience." Sheriff Shane Doyle also addressed students today. "A cell phone seems pretty harmless, and just about every good kid has used a cell phone while driving. Don't do that, guys," he said. "Because in this situation, had it been real, and we tried to make it as real as we could, Hunter would be looking at life in prison on three different counts of murder." 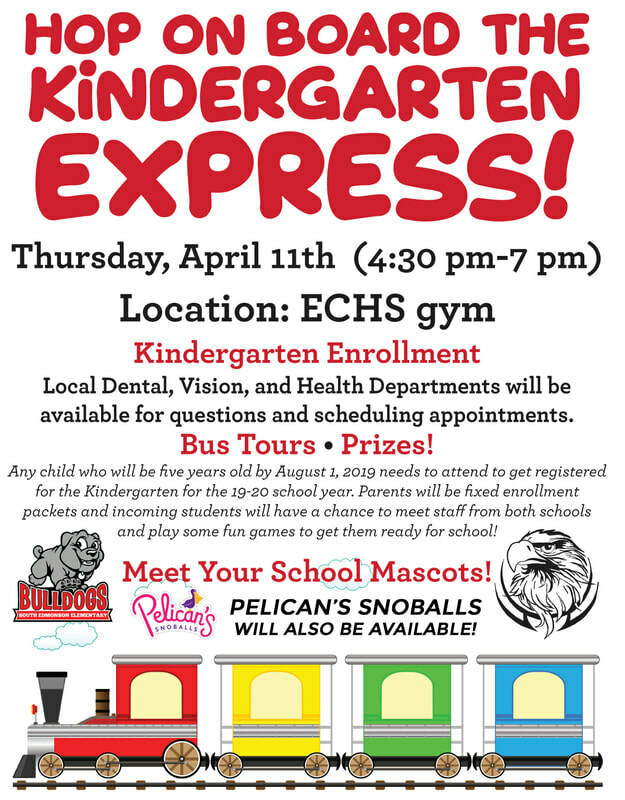 Morgan Esters, Youth Services Center Coordinator for Edmonson County Schools, said months of planning and tons of resources are needed in order to put on the event. "We're hoping this will be the most impactful one we've had yet," she said. Dozens of people were involved in the making of today's crash and all of it was for one purpose: to get teens to think twice about using a device while driving. "Make good decisions behind the wheel," said Director Sanders. "Put your phone behind you where you can turn it off or put it where you can't reach it. If somebody calls you and you have to answer it, or answer a text, pull off the side of the road somewhere. Pull somewhere safely where you can stop before you pull that phone up." Also acting in the scene today were Petie Tarrantino, who is an actual firefighter with Chalybeate VFD and senior Spencer Bass. Emergency personnel were: Edmonson EMS, Edmonson County Sheriff, Brownsville Police, Chalybeate VFD, Edmonson County JAWS, Edmonson County Emergency Management, and Edmonson County Dispatch. 2016 Ford Fusion driven by Christopher Frogge. 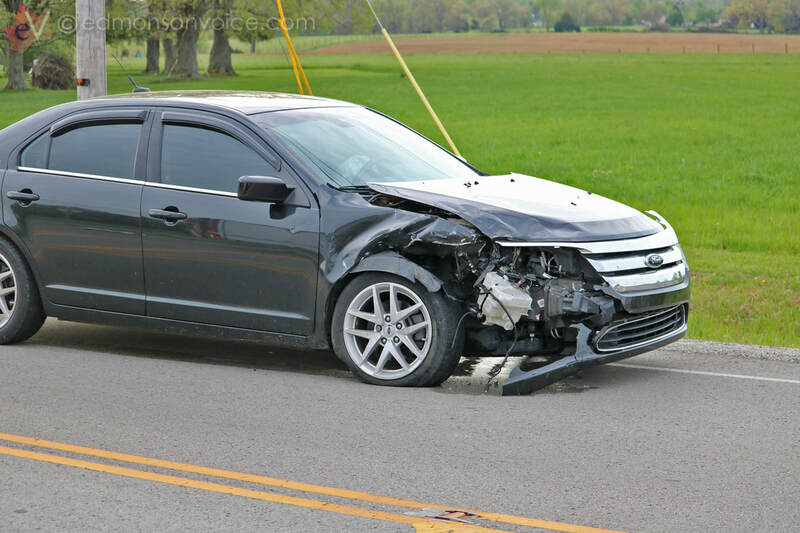 All parties escaped injury this morning in a two-vehicle crash in front of South Edmonson Elementary today during school traffic time, according to the Edmonson County Sheriff's Office. Emergency workers responded to the scene around 7:30am today where according to the Sheriff's Office, a 2016 Ford Fusion, driven by Christopher Frogge (31) of Brownsville, attempted to pull out of South Edmonson's parking lot. 2010 Ford Fusion driven by Vernon Johnson. The Sheriff's Office said that Frogge told officials he didn't see the oncoming car, which was a 2010 Ford Fusion driven by Vernon Johnson (67) also of Brownsville, who was headed south on HWY 743. The vehicles then collided in the roadway causing a partial shutdown of the road for about a half hour. Both drivers were wearing seat belts and air bags deployed in both vehicles. No injuries were reported for those involved, which also included a 6 year-old passenger in Johnson's vehicle. "All parties involved are very fortunate to not have injuries," said Sheriff Shane Doyle. "This is an extremely busy roadway during this time of the day. This situation could've been much worse but thankfully, everyone was able to walk away safely." 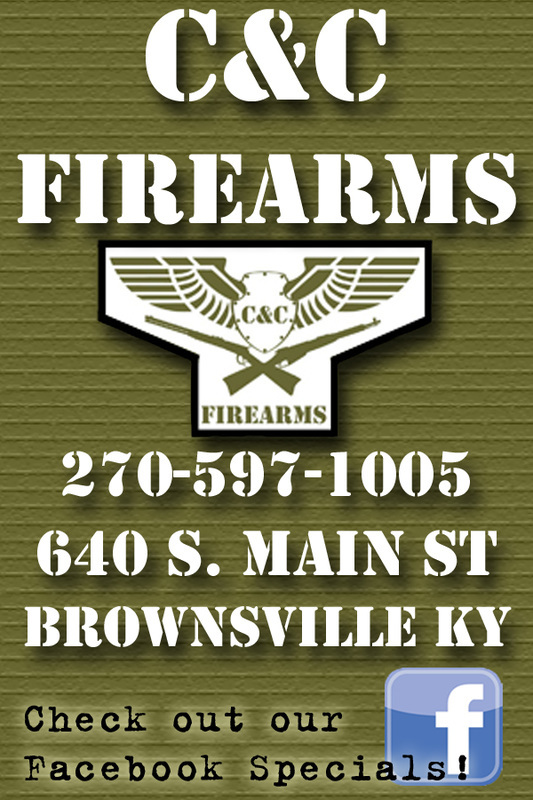 Also responding was the Chalybeate Fire Department and the KY HWY Department. Two were killed in a single vehicle accident on Tuesday in Smiths Grove, according to the Warren County Sheriff's Office. 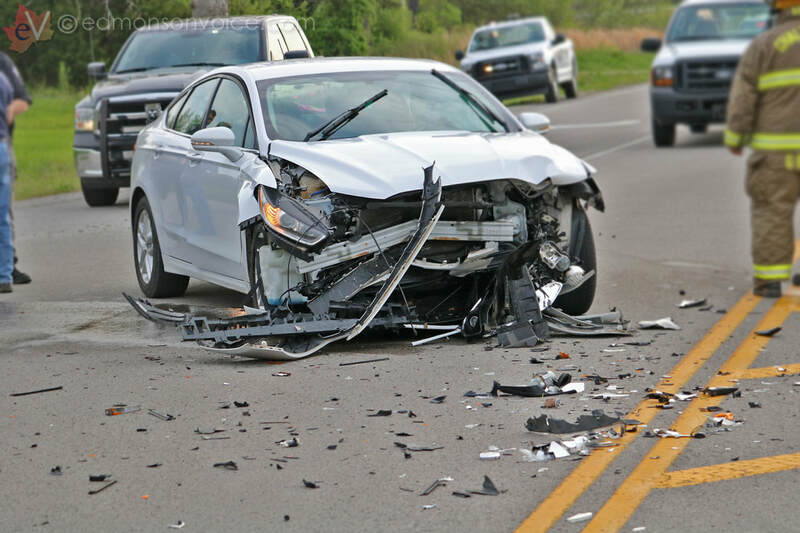 In a press release, the sheriff's office said they responded to the call of a single vehicle injury collision in the 1800 block of Hays Lodge Road. According to officials, Aaron Wingfield (20) of Bowling Green, and his passenger Krista Vincent (23) of Smiths Grove were traveling south bound on Hays Lodge Road in a 2001 Ford Taurus. The investigation showed that Wingfield lost control of the vehicle when coming to the top of a hill. While attempting to regain control, Wingfield over-corrected, which caused the vehicle to collide with a tree. Both subjects were deceased upon deputies arrival. A Cub Run woman and her passenger escaped injury when the truck they were driving caught fire and burned on Nolin Dam Road Monday evening, according to the Edmonson County Sheriff's Office. In a statement from the Sheriff's Office, a deputy said that at around 5:30pm in the 200 block of Nolin Dam Road, an unnamed passenger noticed smoke coming from the 1995 Dodge pickup and urged the driver, Peggy Hopkins (57), to pull over. Interior of 1995 Dodge pickup after fire was extinguished. 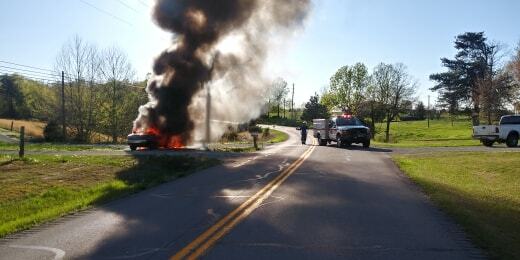 As the driver pulled the vehicle over it became engulfed in flames. The truck was a total loss but both the driver and passenger escaped without injury, according to authorities. Responding to the blaze was the Kyrock Fire Department along with a member of Bear Creek FD, as well as the Edmonson County Sheriff's Office. 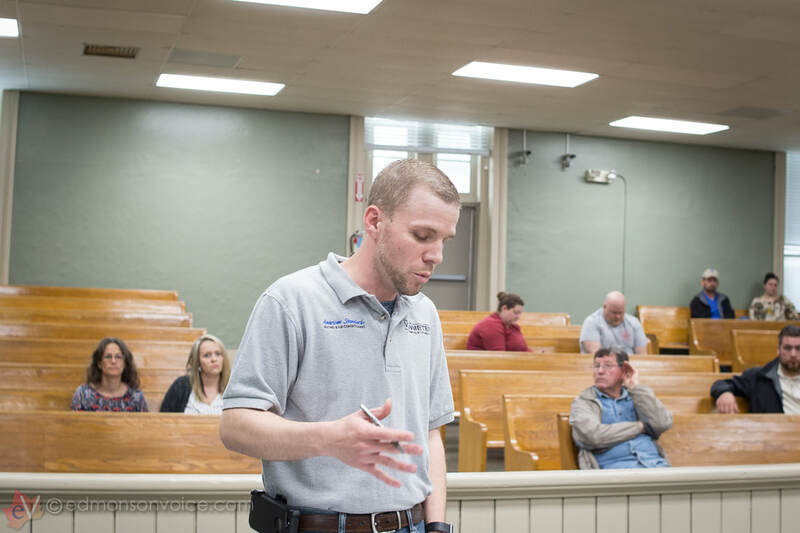 The Edmonson County Planning Commission invited the Edmonson Voice to a recent meeting where they discussed better ways to reach out into the community. 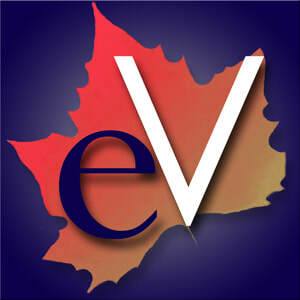 In an effort to work with local elected officials, the commission has asked the Edmonson Voice to help them with a localized survey that will hopefully provide accurate feedback for the purpose of making improvements within the county. While the Edmonson County Planning Commission encourages the development of residential, commercial, and industrial subdivisions according to recognized standards, it is also involved in efficient traffic circulation, other forms of land development, fire safety, and many other aspects of the overall development of the county. Chairman Mike Stoyonovich said a survey would help the planning commission work alongside the Judge Executive's office as well as all other elected officials in order to evaluate and improve the current status of Edmonson County. "We want to hear directly from county residents," he said. 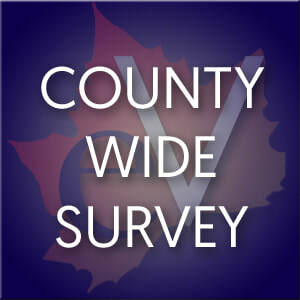 "We want to know what improvements our county residents would like to see in Edmonson County. We can give this feedback to our government officials so that we all can see what types of amenities, businesses, and developments county residents would like to see." We have agreed to conduct their survey with the questions provided to us from the planning commission. Please answer the questions below. You don't have to provide your name or email address, as the survey is completely anonymous. The goal of the survey is to get citizens, local businesses, local government, community organizations, developers, contractors, and institutions working together to address land use planning and service delivery issues to provide the commission with feedback that will promote mutual responsibility and joint problem solving. Breakfast attendees meet and greet before food is served. 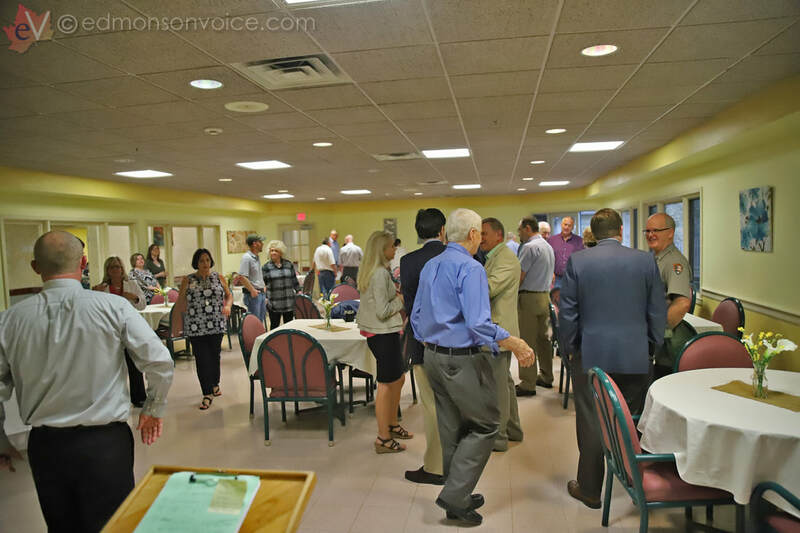 Several representatives from local businesses, organizations, and elected offices attended the Chamber of Commerce Breakfast this morning, hosted by Genesis Healthcare, Edmonson Center in Brownsville. This morning's breakfast, which was free to the public, featured a buffet of popular items and a selection of drinks. Head Administrator Chris Swihart welcomed everyone and recognized the staff members at the facility, which he described as family. He also shared information about their annual car show which benefits resident activities and promoted the facility's new career path, a CNA program that trains nursing assistants. Administrator Chris Swihart addressed the crowd. Scott Lindsey, the facility's admission director, gave a brief history and background of Genesis Healthcare, which he said employs more than 70K across the country and has 94 employees at their local facility. He said this year is their 25th anniversary and offered tours to anyone that wanted to see more of the center. He discussed the family there and that their mission is to help your family. 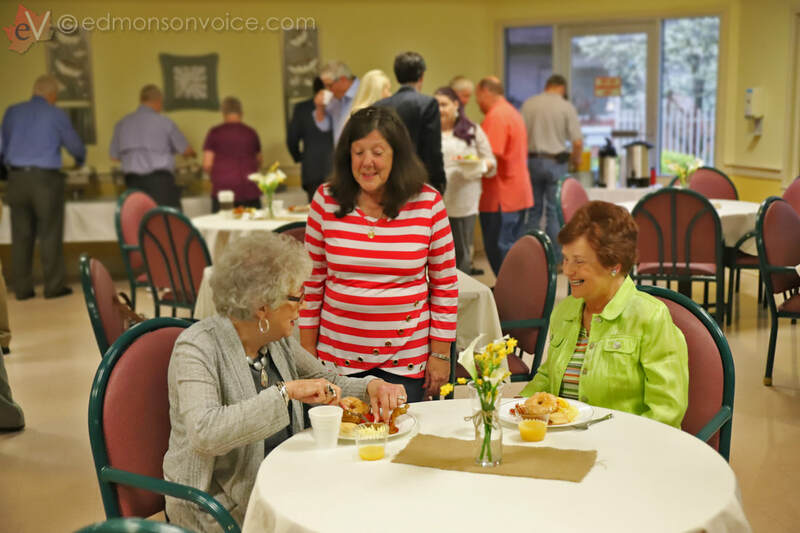 L-R: Sarah Gray, Vickie Walker, and Jeanne Patton enjoy breakfast. Admissions Director Scott Lindsey shares about the facility. Several attendees commented about their own families' experiences and how the facility had helped in numerous ways. Chamber board member Bob Kleier thanked everyone for attending and Edmonson Center for their hospitality at today's event. Rhonda Clemmons, Chamber Director was happy with the turnout. "We always enjoy our chamber events and Genesis did such a great job as our host this morning," she said. "We are always welcoming new chamber members. 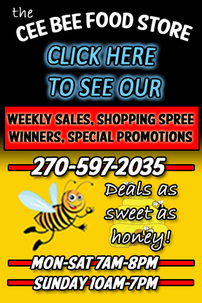 Please visit edmonsonchamber.com to find out how you can join us." Edmonson County School Resource Officer and Chief Deputy Jeff Brooks is recovering from suffering what physicians are calling a mild heart attack that he suffered Wednesday afternoon at his home, shortly after returning from work at ECHS, according to a statement from Sheriff Shane Doyle. Sheriff Doyle said Brooks began suffering chest pains yesterday afternoon and was taken to the hospital by Edmonson EMS. He was admitted soon after where it was discovered blocked arteries led to his illness. He is expected to remain in the hospital for 3-5 days. Brooks has served the Edmonson County Sheriff's Office for 15 years. "The Brooks family and the Sheriff's Office thank everyone for your prayers and ask that you continue them," said Sheriff Doyle. "Jeff is not only an invaluable asset to our schools and county, but also a dear friend. We hope he recovers quickly and that he's back on the job soon." 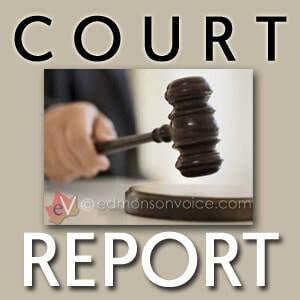 Edmonson District Court was held on Tuesday, April 9, 2019. The Hon. Judge Joseph B. Hines presiding. Aaron Dale Miller, Assault fourth degree, domestic violence, minor injury. Guilty. 90 days in jail with 30 to serve, balance of which is suspended on terms of conditions. Aaron D. Miller, Reckless driving. Failure to produce insurance card. Guilty on both charges, $250 in total fines. 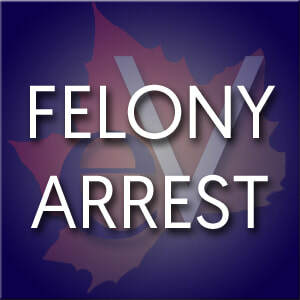 Holly Samara Loyd, Theft by deception- include cold checks under $500. Guilty, orders signed. Dylan M. Lemieux, Resisting arrest. Assault fourth degree, domestic violence. Assault third peace officer, non-communicable bodily fluid. Assault-third degree-police/probation officer. Bonded for 4/23/19. Jason Stanka, Failure of owner to maintain required insurance/security first. Dismissed on motion of county attorney. 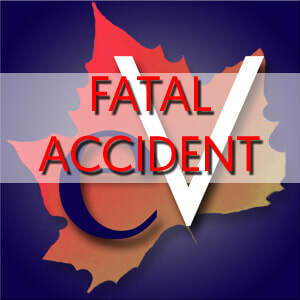 ​Greg Joseph Kinser, Careless driving. Failed to appear. During Monday’s Edmonson County Fiscal Court meeting, Department of Rural and Municipal Aid representative Mark Welch announced $523,053 in discretionary funds for vital resurfacing work on six county roads, as well as bridge repairs on the North Main Street bridge, as reported by the Edmonson Voice on Monday. Both state and county officials responded with statements. According to a statement from KY Transportation Cabinet District 3, these roads were identified as being among the most critical in the county. Judge Executive Wil Cannon reacted to the amount. "Today I saw something I had never seen before. After Mark Welch read the letter from Commissioner Tomblyn the Fiscal Court and audience gave an applause. We were all thrilled about the announcement," said Cannon. "On behalf of Edmonson County Fiscal Court I thank Governor Bevin, Commissioner Tomblyn and staff, Mark Welch, Joe Plunk and his staff for making Edmonson County better and safer." The North Main Street Bridge over Green River in Brownsville serves 7,000-8,000 vehicles a day. Repairs will address signs of aging on the sidewalk and bridge railing to maintain the safety of the bridge for pedestrians. 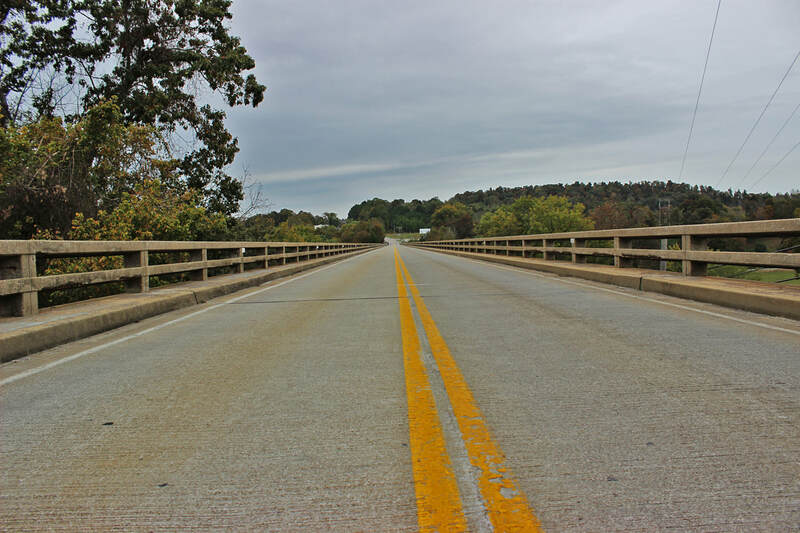 “It is critically important that we provide support for needed road and bridge projects in a rural area like ours, and I’m happy to see the Transportation Cabinet allocate this significant level of funding,” said Rep. Michael Meredith. “These funds are a strong step toward improving the quality of our area’s infrastructure, as it will help maintain some of our deteriorating roads and bridges. Windstream has filed for Chapter 11 Bankruptcy, under "Windstream Holdings, Inc.," according to letters sent to customers and confirmed by company President of KY Field Operations and Engineering, Phillip McAbee. In a letter sent to customers, the company stated: "Enclosed you will find the "Notice of Commencement" regarding Windstream's voluntary petition for Chapter 11 reorganization. This is a legal notice only and you are not required to take action to maintain your current services with Windstream." McAbee confirmed the filing, which was completed on February 25, 2019. "This doesn’t have any effect on our customers," said McAbee. "Windstream will continue to operate our day to day business, no differently than before. We will also continue to invest in our network and serve our customers." 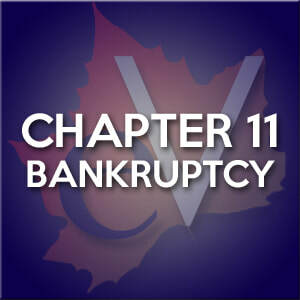 Chapter 11 Bankruptcy is usually filed when a business is unable to pay debts or creditors under their normal operating circumstances. Ordinarily, the debtor remains in control of its business operations as a debtor in possession, which means they remain in possession of any property with liens. The business remains subject to the oversight and jurisdiction of the court. In the letter to their customers, it also said, "Windstream is as focused as ever on executing our business strategy and driving value for all of our stake holders. Serving our customers is our top priority, and we are dedicated to the highest standards of customer satisfaction." McAbee said that no action is required from any Windstream Customer. "We are aware that some other phone/internet providers in the market have launched a Direct Mail smear campaign against Windstream," he said. "I feel this is in an effort to create confusion and fear claiming with Windstream Customers that their services could be cut off or cancelled. That’s not the case. Windstream is committed to providing the products and services to its customers." Kentucky Transportation Cabinet Field Representative Mark E. Welch attended Fiscal Court on Monday April 8th to announce discretionary funds awarded to Edmonson County. Kentucky Transportation Cabinet Field Representative Mark E. Welch read a letter to Fiscal Court from Commissioner Gray Tomblin announcing Edmonson County will be receiving $523,053 from Governor Matt Bevin's Discretionary Funds for resurfacing work. $181,655 will go towards concrete patching on the curb, railing and sidewalk of the North Main St. Bridge. The Gatton Academy of Mathematics and Science in Kentucky has selected 96 Kentucky sophomores for the Class of 2021, one of which includes Edmonson County sophomore, Ava Kate Lich. “We are very excited to welcome such a remarkable group of students to the Gatton Class of 2021. These students are coming from all across the Commonwealth to pursue their wide-ranging interests and engage in rigorous scholarship,” said Director of The Gatton Academy, Dr. Lynette Breedlove. The selected students scored an average composite of 31.66 on the ACT and 31.18 on the mathematics portion of the exam. The highest possible score is a 36. Both of these scores represent the highest for an incoming class in the school’s history. Students from 54 counties represent the Class of 2021. Students will complete their junior and senior years of high school living in Florence Schneider Hall. At the end of their two-year course of study, students will graduate from high school with a minimum of 60 college credit hours. The Gatton Academy is Kentucky’s first state-supported, two-year residential program for high school students with interests in advanced science and math careers and is one of only 15 such programs in the nation. The Gatton Academy has been named to The Washington Post’s list of top-performing schools with elite students for nine consecutive years. Ava is the daughter of Stuart and Amanda Lich from the Windyville community. Mackenzie Daniels, 2017 valedictorian of ECHS, was also a recent Gatton Academy student. The Kentucky State Police have reported that a Lewisburg resident has been indicted by a Logan County Grand Jury for falsely claiming a terminal illness in order to receive monetary gain. KSP said that Sierra Bennett (25) received a criminal summons earlier today. 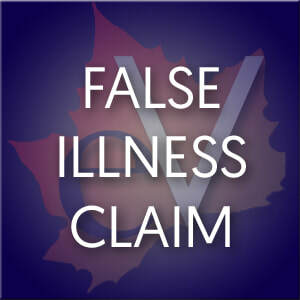 The indictment was a result from an investigation involving a complaint of her falsely claiming to have received a diagnosis of terminal cancer in order to receive monetary gain. Sierra Bennett was charged with Theft by Deception under $10,000. Exactly half of the roofing on a barn belonging to Dennis Priddy was removed and displaced on his property Saturday evening. Strong thunderstorms passed through the area on Saturday evening that brought heavy rains and high winds to the entire region. While there were few reports of significant damage in the county--if any , one specific area in the southern region of EC saw plenty. 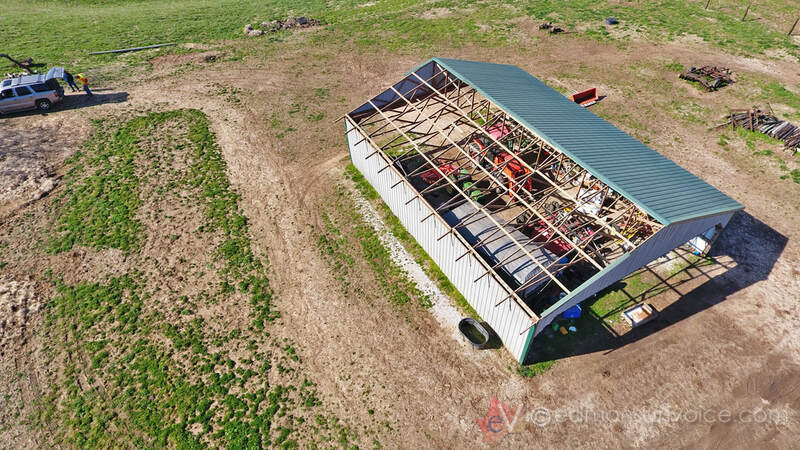 A barn belonging to Dennis Priddy, located in the 15000 block of Louisville Road (31W), had exactly half its roof removed and displaced on his property. Priddy said he received a call from his daughter next door, who said that she thought the barn had been knocked down. He said he could tell it was damaged, but it was hard to see due to the torrential rains that were falling at the time. "We lost shingles on the opposite side of our house," he said. 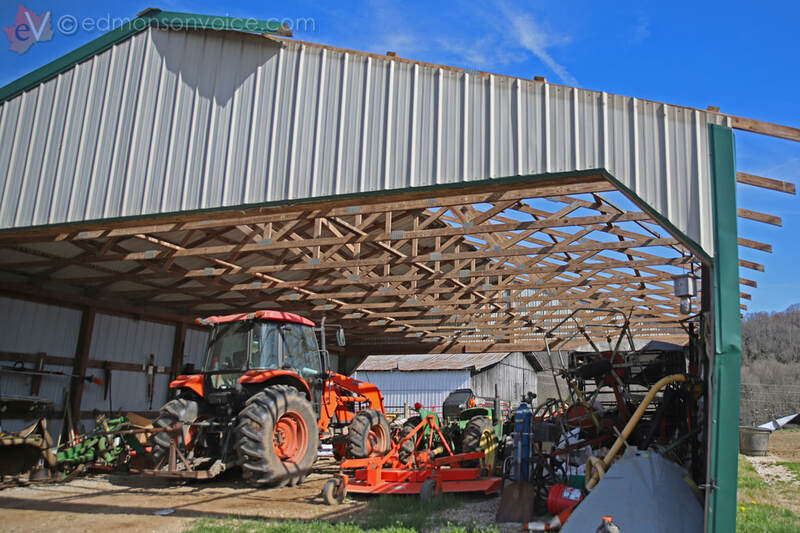 "The roof of the barn was blown in a different direction and that's why we wanted to contact the National Weather Service," Priddy said. Edmonson Voice meteorologist Landon Hampton of WxornotBG.com requested NWS data from the time and area of the incident to determine whether or not the damage would be classified as being due to straight winds or tornadic activity. Priddy also lost some trees, fence posts, and saw other damage; and a utility pole with a transformer supplying power to another structure on his property was snapped in half. Three main posts of the barn appeared to be broken as well. Severe thunderstorm warnings were plentiful across the region Saturday evening; however, no tornado warnings were issued. The strong winds were followed by plummeting temperatures that actually had the area under freeze warnings. Temps dropped to the upper 20s Sunday night into the early morning hours of Monday. Temps are forecasted to rise back into the 70s by the end of this week, which is Spring Break for Edmonson County schools.